We just bought some small copper and silver goops by Randy. Terrific with his matching pendant, or just on their own. 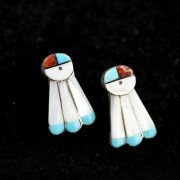 Randy Secatero is a contemporary Navajo jeweler. He makes beautiful stamped designs often combining both sterling silver and copper. 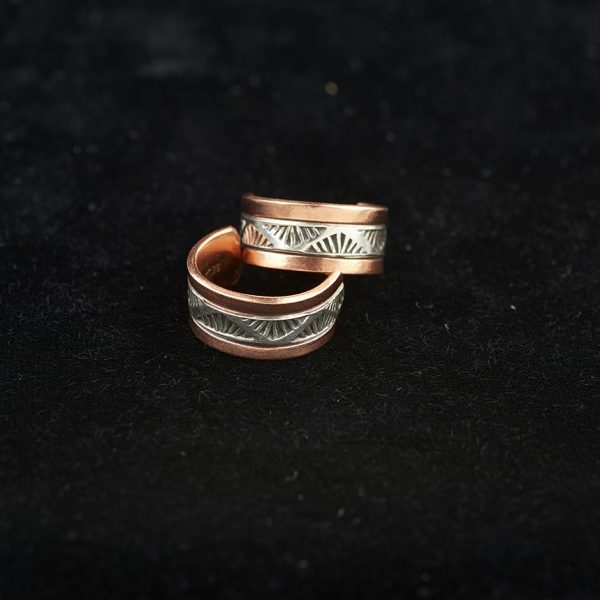 Their designs are typical of the geometric designs you will see on Navajo Rugs. Even though his designs are classic and old, there is a contemporary feel to his work. 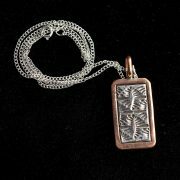 One can see mountains, water, clouds, arrows and eagle feathers in the stamping.